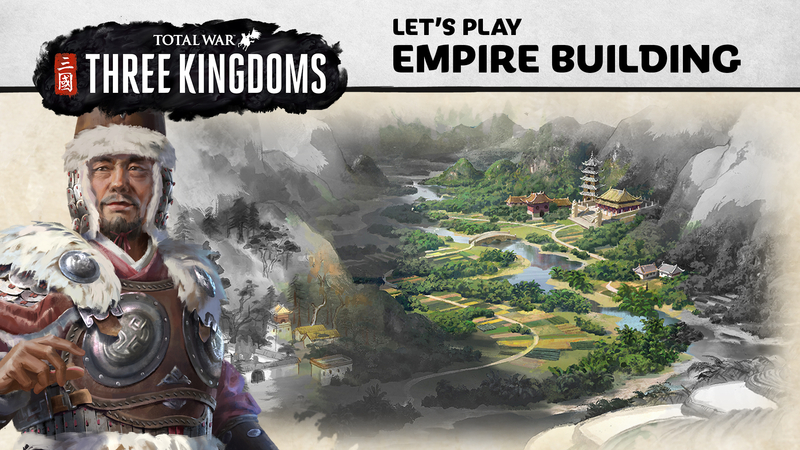 In THREE KINGDOMS, you need to build your empire and forge your legacy. If you don’t know where to start, we’ve got you covered. Didnt expect Ma Teng to pop out. I can tell you - having a chance to pin something on the map is going to be super sweet for coop camapaigns. And as always - UI and campaign map looks beatiful. I am having another issue with the AI though - splitting their armies to two to attack player outside their city and consequently losing first and second battle (even though player´s army wasn´t at full strength) seems little bit easy and also stupid. Look like supply is more impact than ToB. The AI attacked with both armies (second was a reinforcement). You must have seen this in other Total War games lol. For sure I am familiar with it but it looked like a single army attack. Green character moves up. Battle. Green character is no more (dead?) and rest of the army is under another blue character command. Original Blue Character is standing next to the town and is attacked by the player. Never mind. You may be right. Maybe he did. But it looks like he didn´t as he didn´t have any casulties. This is before battle screen. Also: Blue Character model is positioned in the exact same way which doesn´t look like his army has retreated. Interesting, so to play efficiently an characters need to be assign to economic missions that take number of turns. The option to demand a surrender of a city is quite nice. Looks like the AI can choose to not fulfill his part of an deals, would the AI get a diplomatic penalty for that? would it considered a justified reason to starting a war? or a player can still get a diplomatic penalty for doing that? Most of it looks really good. That the guy in the city (hanzhong) didnt reinforce was suprising. But thats the only thingi can put my finger on for negativities too. I liked how branched diplomacy was. By using Dong Zhuo to get what you want at the cost of breaking ties with Zhang Lu. Too bad we didnt see more of battles, maybe something is being worked on. At least add more than one gesture for the strategists lol. They look like clones of each other. It's an strategists gesture, but they have different faces, also it's an similar case with other generic characters. Yeah. I retracted after spotting that as well. OK, not to be a Negative-Nelly here, but the first thing I noticed straight off the bat is that the Silk Road Trader building tree comes with a pretty sizable-looking garrison, especially in the higher tiers. I hope that's unique to the Silk Road Trader and not indicative of powerful garrisons for all settlements. Most of the time a player can fend off decently-sized AI armies attacking his settlements, even if he has a much smaller force. If the garrisons are too big, then it could lead to problems with the AI never being able to take a player's settlements. Too early to say if it's an issue, but just throwing that out there to chew on. I do like that there will be more of the those unique Legendary Items that provide benefits other than simple combat buffs, that's cool to see! 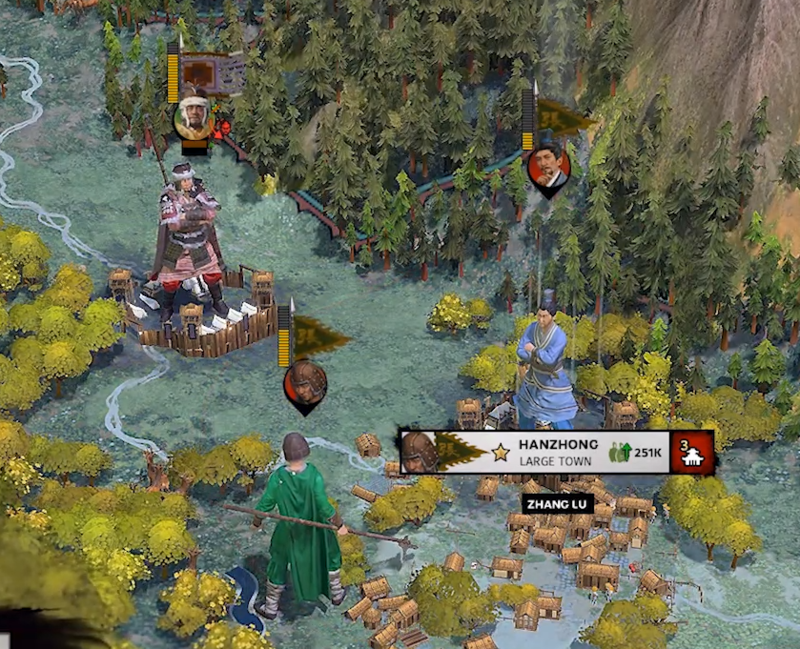 The Encampment battles look pretty cool, but I noticed the AI isn't moving it's 2nd army to reinforce. Assignments look like an interesting alternative to Governors, but it sounds like the bonuses they can provide will need some serious balancing. Governors in ToB could end up providing very powerful bonuses in a very short time. Oh my goodness... CA... oh my goodness... there are no words... to describe my satisfaction with your work, well done. I noticed that too - looked like six archers and five swords (I might have been reading the screen wrong though) on a tier-3 (out of 5) minor settlement. 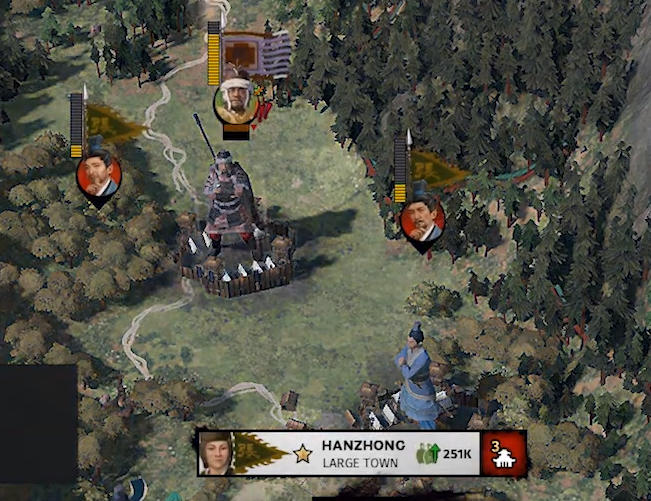 That seems like a lot when the max an attacking army is going to bring is 18 units (plus 3 generals). Even if they're all just low-quality peasants, that's going to be a significant roadblock to expansion. Also, Qiang units! I think that is the first non-ethnically Han troops confirmed. Pretty sure they mentioned much earlier that Ma Teng could recruit Xiliang Cavalry so it seems the "Unique Units" tab on the faction selection screen does not show all the special units a lord might get so there could be more. I think I got most of it, but it does go a little bit quick. Looks good though, really loving the more administrative side over the combat. Closer to more of the games I usually play. Edit: Oh yeah. The item that actually adds an administrative spot, thats pretty cool. Better then just combat only items. Nope, you're spot on; 6 archers and 5 swordsmen at tier 3. That seems like a lot to me, and tier 5 even gives 4 archers, 2 crossbowmen, and 6 swordsmen. From the look of the minor settlement maps we've seen, there'll be a handful of defensible chokepoints leading into the interior of the settlement, and these will be backed up by the defensive towers giving the defender another advantage. Hopefully this is unique the Silk Road Trader building (I think I read something about specially-assigned Chinese garrisons deployed along the length of the Silk Road to defend it), and other settlements won't have such large garrisons. It was my impression in the video that heroes are really important in battle, and as far as I could see there were no heroes in the garrisson, which may be to balance it out. Just speculation though. I absolutely love how detailed the campaign mechanics are in this game, I'm so happy CA is focusing on the campaign side of these games again. 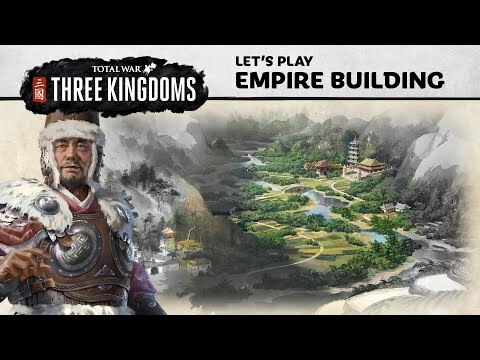 TOB was also really good in this regard, but Three Kingdoms is taking it even further, great job guys! That's a fair point. These garrisons may not put up much of a fight against heroes, but I think they'll still be able to maul AI armies enough to really slow their progress down to a crawl. But what about Classic mode? Heroes won't be as powerful in that mode. Maybe I'm just overthinking it, but it seems to me like something that may prove problematic. Hey, he can't have my Gua Jia! Is there a game mechanic to "Dong Zuo stranded in the desert" or is he just role playing? To put into words how excited I am for this game might require inventing a new language, or at least new English words. I'm thinking because silk creates a lot of wealth and the Chinese executed people for taking silkworms outside of China it seems reasonable that it would be highly priced and so protected.. a lot. What he meant by stranded in the desert is that Dong took his army far from his lands to capture a city somewhere in the desert. So now he is an easy target. So, one question. They went through all of Ma Tengs abilitys at the start but one. That one on the far right, looks like the Imperial seal, Wonder what that does and why did they not want to shows that one? They showed the rest. I can see Sun Jian's family having certain traits passed on, but I can't fathom how each Warlords specialties could transfer over.